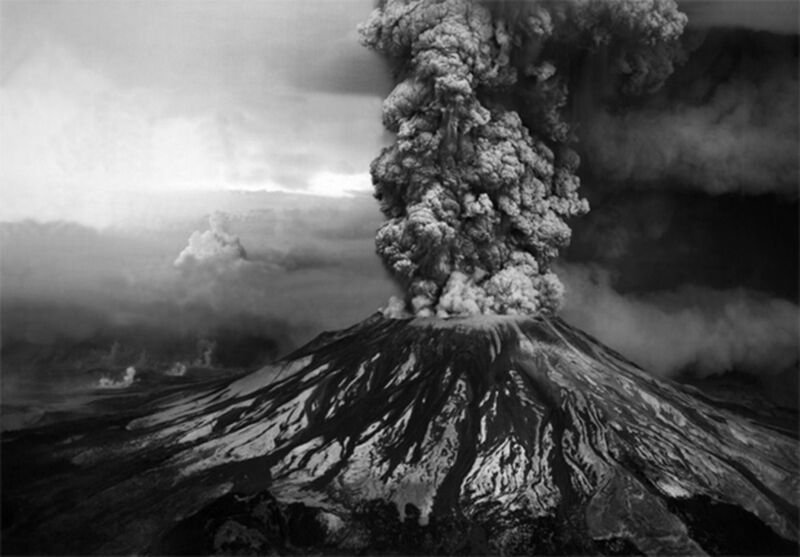 When Mount St. Helens erupted on May 18, 1980, photographer Robert Landsburg was there – within a few miles from the summit, shooting away. Landsburg had spent several weeks prior to the eruption documenting the volcano, putting himself on the precipice of danger. On May 18, Landsburg’s luck ran dry. Seeing the immanent explosion in the not-so-distant distance, Landsburg decided he could not escape the eruption in time to save his own life. And so, he used his body to save his film. Landsburg continued to photograph the eruption until the last possible moment, leaving himself enough time to wind up his film into its case, place his camera in its bag, place that bag into his backpack, and lay his body on top of the bag as the final protective layer against the shower of magma and ash. Landsburg’s body was found 17 days later, buried in ash with his film in tact. The photographs were published in the January 1981 issue of National Geographic, a scan of which can be seen below. Reddit via PetaPixel. Picture #1: USGS / Robert Krimmel. Picture #2: Danial Dzurisin. Picture #3: a scan of the January 1981 issue of National Geographic.